This intensely colour-rich, matt and crease-resistant formula has been designed for use on the face, eyes, lips and body. 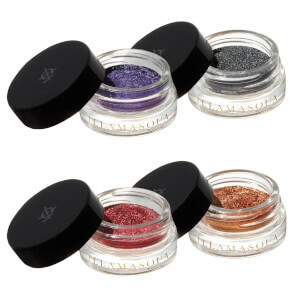 Apply Cream Pigment with an Illamasqua brush or simply use your fingers for a buildable, water-resistant, highly pigmented finish. This advanced formulation provides additional adhesion and colour-intensification when applied before Powder Eye Shadow and Pure Pigment. The product can be used sheer or built to full coverage. Apply with a longer bristle brush to achieve a sheer colour and texture payoff whereas selecting a flat brush will deposit more colour density and texture payoff. Paraffinum Liquidum (Mineral Oil), Paraffin, Hydrogenated Polyisobutene, Octyldodecanol, Candelilla Cera (Euphorbia Cerifera (Candelilla) Ax), Nylon-12, Cetyl Palmitate, Tocopherol, Magnesium Myristate, Polymethyl Methacrylate, Cera Alba (Beeswax), Petrolatum, Cera Carnauba (Copernicia Cerifera (Carnauba) Wax), Oleth-10, Propylene Glycol, Bht, Glyceryl Stearate, Ascorbyl Palmitate, Citric Acid [+/- May Contain: Ci 77891 (Titanium Dioxide), Ci 75470 (Carmine), Ci 77007 (Ultramarines), Ci 77499 (Iron Oxides), Ci 77491 (Iron Oxides), Ci 77492 (Iron Oxides), Ci 77289 (Chromium Hydroxide Green), Ci 19140 (Yellow 5 Lake), Ci 77742 (Manganese Violet), Ci 16035 (Red 40 Lake)] [Non-Usa Shades +/-: Ci 12085, Ci 45380, Ci 45410]. I bought this in the colour Hollow, as a contour colour. A little goes a long way but the product is easy to pick up on the brush and blends well into the skin (I have light/cool skin, so this colour would probably not be the right colour for anyone with darker or warmer tones). It is not a "wet" texture, but is fairly creamy - you need to work quickly if you want to blend it out as it does set and will set matte. I wouldn't use this on my lips as I don't think it would be a nice texture, but I could use this as an eye shadow, as well as on the face. Very nice cover for hypopigmentations. Great to use as an eyeshadow primer. Soooo creamy!! A little on the pink side and slightly drier than expected. Yet to use properly. Others really love this product so have bought to try. Blend like a daydream and works great as a base or by itself! Beautifully hid the bags under my eyes! Must have! 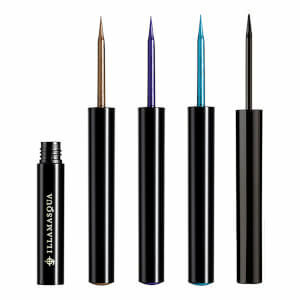 Great product.. does not crease and stays on all day.